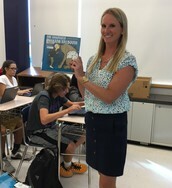 UMHS One Book. One School. Let’s get it right out there—this is a children’s book. But that label does not do this novel justice. 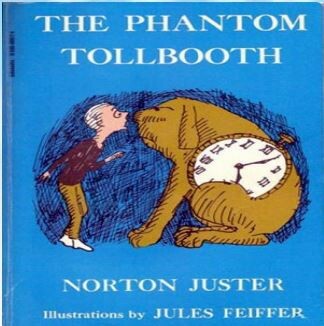 Inspired by Alice in Wonderland, the author, Norton Juster, creates an allegorical tapestry of life lessons carefully woven into an entertaining and whimsical story that captures the hearts and minds of children and adults alike. that our time here on Earth is not to be wasted. our students. We often wonder how we can inspire our students to know what we now know—that life and the opportunities afforded to us through our educational journey are not to be wasted. This lesson is what Milo, our protagonist, ultimately learns as he embarks on his quest to return rhyme and reason to a ridiculous, tumultuous world. We, too, hope to help our students to see the power of rhyme and reason and to once again inspire in them the sense of wonder that once was at the forefront of their motivation. As you begin to read the novel, you will see the intricacies of the language and the underlying messages of beauty, friendship, and perseverance that have been enjoyed by child and adult readers alike for over fifty years. 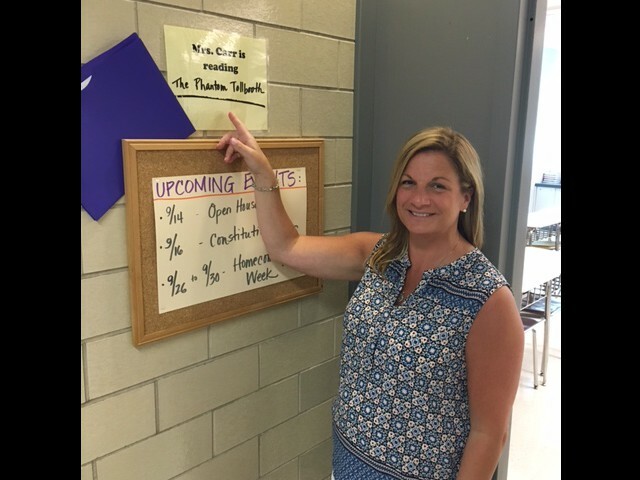 Since school opened on August 29th, we have had the privilege of seeing how UMHS teachers are incorporating our One Book. 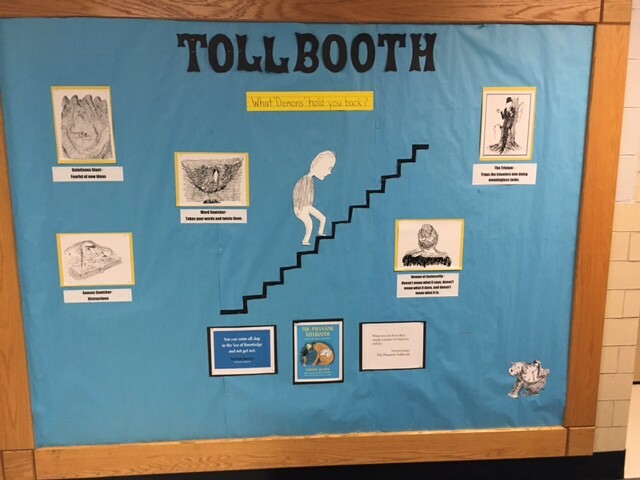 One School, title, The Phantom Tollbooth, into their classroom instruction. 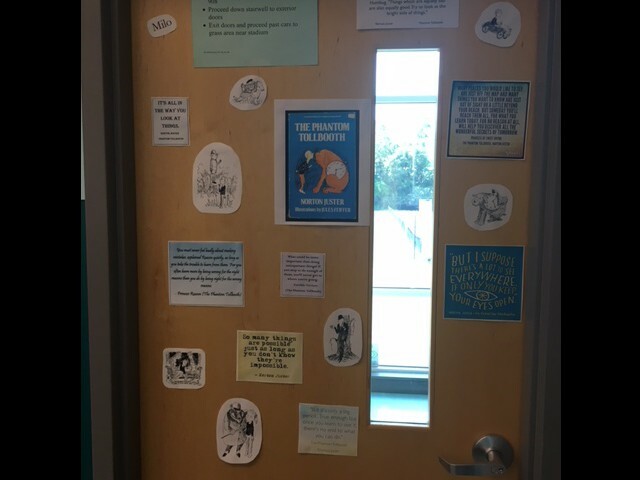 We've also had many conversations with our students and are happy to hear all they have learned about themselves and others from reading this novel. 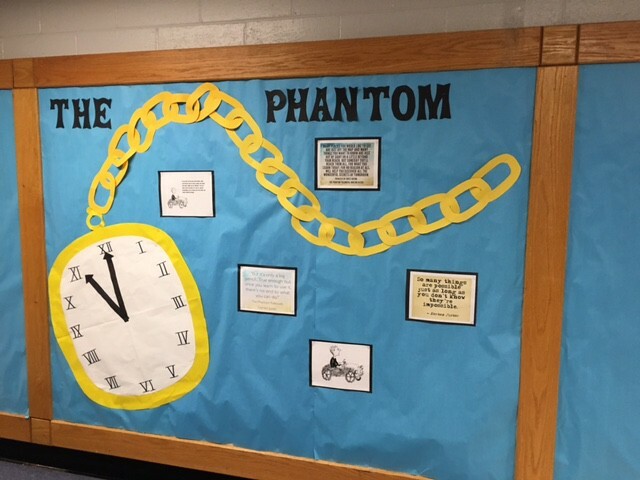 Quotes from the novel have been strategically chosen and displayed outside of the Library to help students focus on the themes of the novel. One of the main focus points of the novel is helping children to develop the strength to face and overcome the personal challenges they will inevitably face. 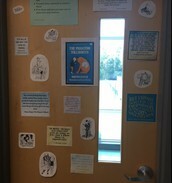 Ms. Lipenta's classroom door also focuses on the characters and themes of the novel. 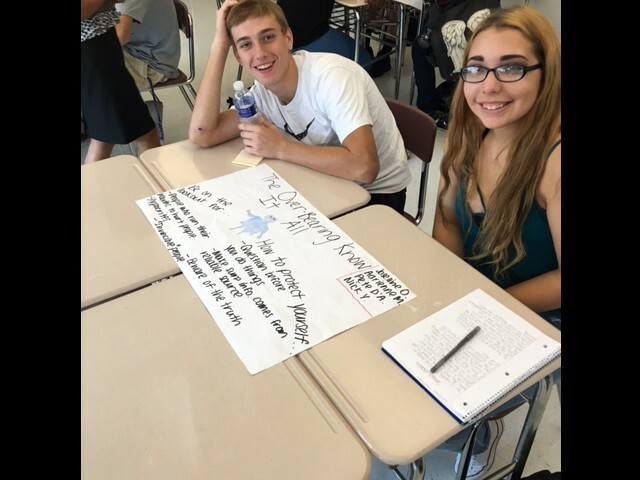 Students in Ms. DelGiorno's 12th grade English class work together to analyze the novel. 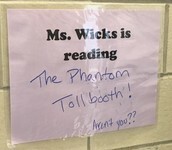 Ms. Carr reminds her students that she is reading The Phanotom Tollbooth. 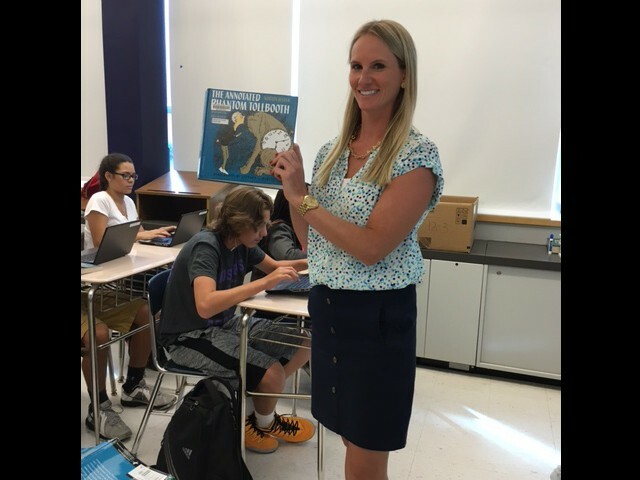 Ms. Stiansen proudly displays her annotated copy of The Phantom Tollbooth. 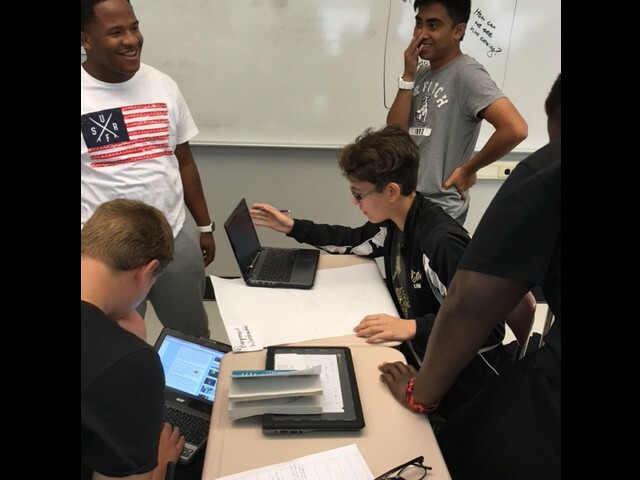 Students work together to discuss how the novel relates to goals they will set for the school year. 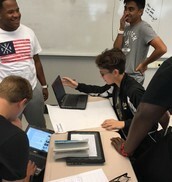 Students in Mr. Dillon's classroom collaborate to prepare for an essay assignment focused around the connections between their own lives and the novel. 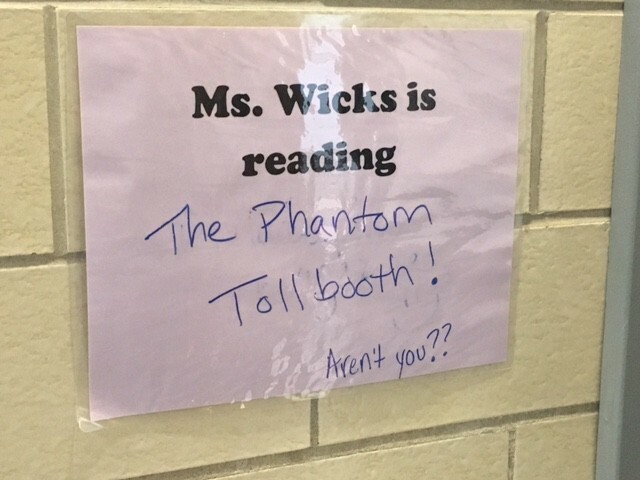 Ms. Powidzki worked with UMHS teachers to teach introductory and body paragraphs using The Phantom Tollbooth as the common essay topic. 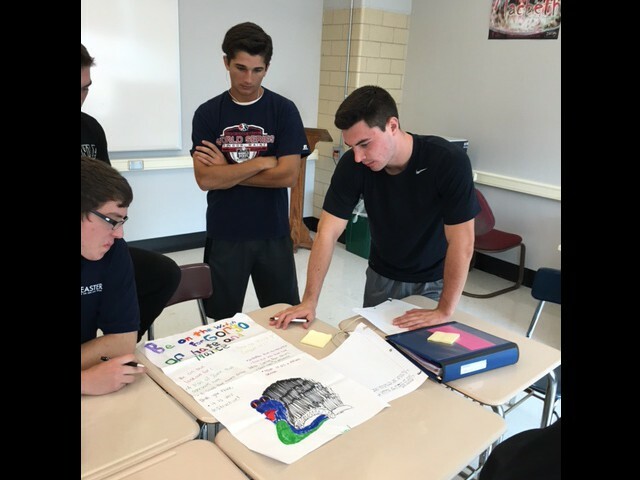 Mr. Fisher conducted a lesson in his History classroom teaching students about respecting others' perspectives. 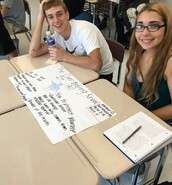 Ms. Watson and Mr. Ferrarello helped students to write essays focusing on personal goals and overcoming personal demons much like the main character, Milo, does in the novel. Mrs. 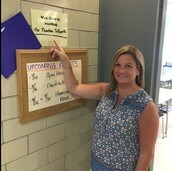 Prince chose three of her favorite quotes from the novel to be the cornerstone for her students' overall development in her class throughout the year. 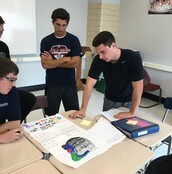 Mr. Martin's students created how-to guides for overcoming personal demons. This article from "The New Yorker" includes an interview with the author and illustrator and focuses on the staying power of the novel.